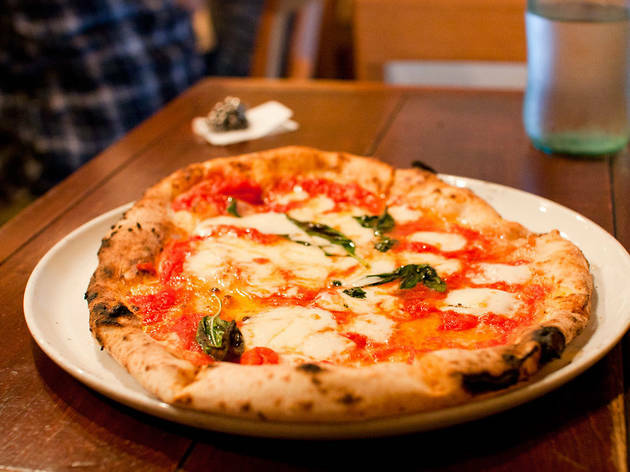 There's something to be said for the sheer devotion of all those Tokyo pizzaioli working diligently to ensure that every marinara and margherita they make is perfectly round, with perfectly uniform toppings. But, gosh, why so serious? The staff at Da Babbo – an intimate, L-shaped restaurant in Ningyocho that already looks far older than its six years – clearly aren't interested in adhering to any kind of Platonic pizza principles. But if our large, misshapen margherita probably wouldn't make it out of the kitchen at a fussier restaurant, it's seriously good: a well blended topping of lusciously creamy cheese and rich tomato sauce, generously slathered with olive oil and served on a crust that's doughy and salted just right. Call it the wabi-sabi approach to pizza making, if you like. The kitchen also churns out some decent pastas and trattoria-style piatto, and there's a 100-strong list of Italian wines that makes Da Babbo as tempting a prospect in the evenings as it is at lunchtime. The people here are rude to foreigners and in general. Although the pizza is okay, being treated like they hate you being at their restaurant spoils the experience. 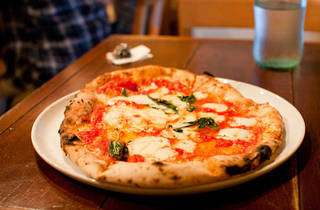 There are many better pizza shops in Tokyo - no need to consider this place.